It’s our 1st Birthday, and instead of telling you how much fun it’s been to create a huge community around the project and reach 178,000 active installs, or talk about code and developers, we’re going to focus on two birthday essentials: looking cool, and cake! Today we are launching the official LibreELEC apparel store. Purchasing a LibreELEC tee-shirt or hoodie allows you to support us (all profits go to the project) and look great at the same time. Whether you need to stand out in a crowd or impress small children, the LibreELEC apparel store has you covered! We are using teespring.com to handle money and logistics. This is the same company Kodi use for their shirts so we know the merchandise is good quality and the service reliable. The LibreELEC store is organised to make a print run every four days (subject to a minimum order volume) and we receive a fixed amount back per-item ordered once a design campaign completes. Small children pointed out that a) Smarties are available in the same colours as our logo, and b) Cupcakes with Smarties are tasty! ..which led to some after-school fun and rigorous testing of a LibreELEC cupcake recipe. LibreELEC cupcakes are perfect for celebrating our 1st birthday! If you celebrate our first birthday with a LibreELEC cupcake please share the pictures (safe for work and kids please) to our social media accounts on Twitter and Facebook. We are fans of sticky fingers and smiley faces. This recipe makes 12x normal adult-size cupcakes or 24x mini child-size cupcakes similar to the masterpieces of baking shown in the photo above. Preheat an oven to 180ºC/350ºF and line a 12-hole muffin tin with paper cases. Beat in the eggs a little at a time and stir in vanilla extract. Fold in the flour using a large metal spoon, add milk until the mixture is spreadable. Bake in the oven for 10-15 minutes, or until golden-brown. Leave to cool for 10 minutes, then remove from the tin and cool on a wire rack. Add the butter in a large bowl and beat until soft. Add half the icing sugar and beat into a smooth mixture. Add the remaining icing sugar and one tablespoon of milk. Spread icing onto the top of the cakes using the back of a Spoon or Spatula. 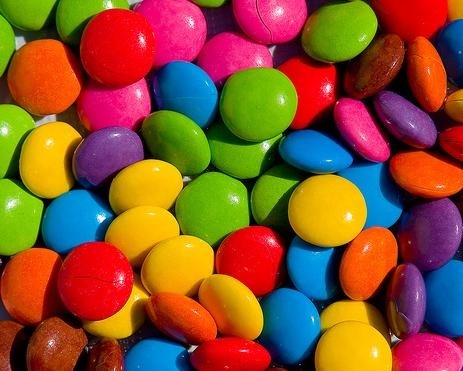 Place pink, blue, green and orange Smarties on top to make the LibreELEC logo. Happy birthday. Keep up the good work. Happy birthday, Hope there will be a lot more!!! Happy birthday, but the cakes should have the orange and green toppings next to each other!! Time flies when you make something great like LibreELEC! Happy Birthday! Smarties, eh? And I thought they were a Canadian thing. Your package is great although the new estuary skin takes time to grow accustomed to. Keep up the good work. Happy Birthday and thanks for your work! Next time you do the tee-shirts, please consider a small logo on left side – I might even buy one! Great! Great! Great! Keep on going! Best wishes! Keep up the good work! Up towards the 5 year lustrum! Happy birthday, and huge thanks for all your work! Happy birthday! I am looking forward to many more years of being a happy user.